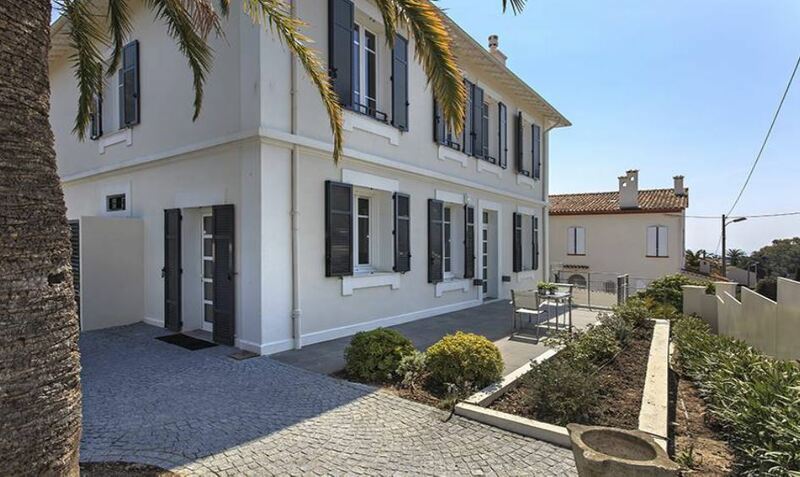 This beautifully modern villa is situated in the highly sought-after region of Croix-des-Gardes, near Cannes. The property has stylish interiors and a fantastic panoramic sea view. The spacious living room opens on to a large terrace where guests can enjoy the warm evenings and late sunsets. The indoor dining area can accommodate up to 8 guests and is linked to the equipped modern kitchen. The first floor of the property includes the master bedroom and 2 other twin bedrooms. The master bedroom features an en-suite bathroom, complete with walk-in shower and an office space. The twin bedrooms each feature an en-suite bathroom as well as sea or garden views. The garden floor of the villa includes the 4th bedroom with an en-suite bathroom. Guests can enjoy a lovely summer lounge with a TV room and a smaller 5th bedroom. This has direct access to the garden and the swimming pool.